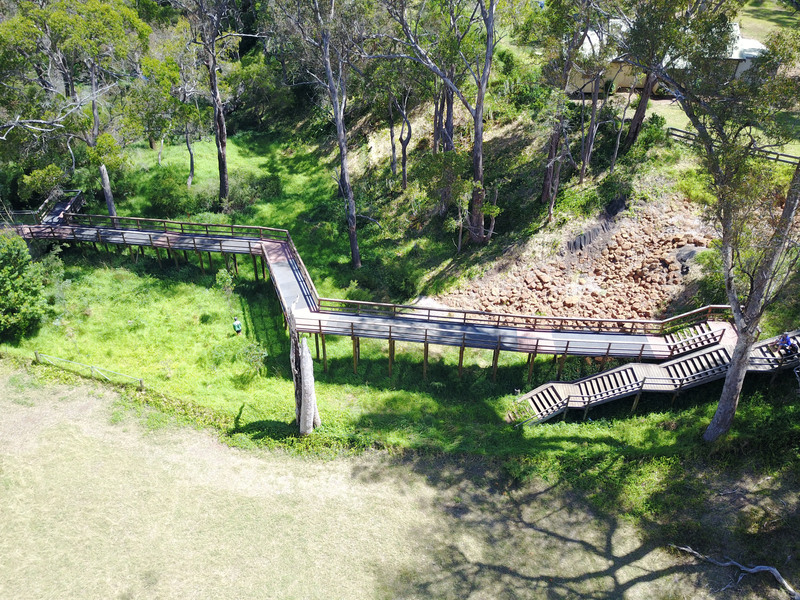 The Shire of Capel engaged WML to provide geotechnical and structural design in order to replace an aging timber footbridge spanning the Capel River. The Shire of Capel engaged WML to provide geotechnical and structural design in order to replace an aging timber footbridge spanning the Capel River. The new bridge is a steel-framed structure with composite plank decking and has an estimated design life of 50 years. WML completed the Geotechnical investigation; concept design and presentation at public comment session; detailed design and documentation of main span bridge and boardwalk approaches along with tie-ins with stairs and path; preparation of concrete, steel and timber specifications for inclusion in tender documents.